Have you ever noticed yourself getting excited while listening to someone tell a story, even if the story wasn’t that good? What do you think happened? Chances are, the storyteller was using other elements of communication to gain your attention. She may have been using her body, her breath, her energy, or her tone to keep you interested. 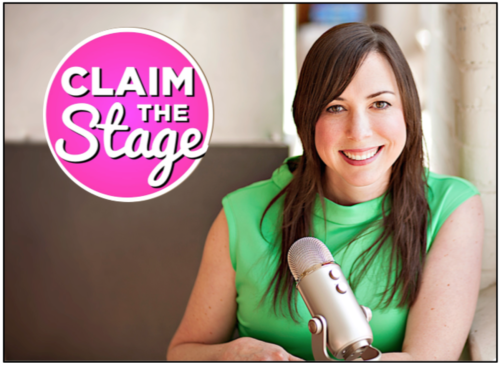 In today’s episode, you’ll learn from Berit Elizabeth, an Emotive Agility Expert, who helps people – especially women – to tap into the underrated power of body language to transform any situation and one’s own sense of self. She says, “Emotive Agility is the power to use your body language to impact the direction of your life. You can use your body language to manage your own emotions and you can use your body language to change the entire way you connect with other people.” If you’re ready to create a bigger, more meaningful presence both on stage and in conversation, this episode will help you think differently about how you’re showing up and what you might want to start doing differently to increase your effectiveness. As a public speaker, this is an episode you won’t want to miss. Check out Amy Cuddy’s TED talk about body language here (referenced in the episode).